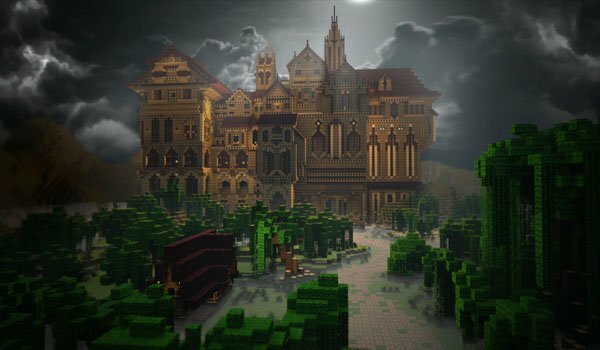 We introduce a recent adventure map for Minecraft that you will enjoy between one or two gaming hours, all combining with an specific texture pack for the map. Herobrine’s Mansion 1.7.2 is an adventure map designed to play in cooperative mode, but you can also play alone, in this case the difficulty level will be higher, so sometimes it’s better to play on easy mode. In this map we find many things that take advantage of the new features of Minecraft 1.6.2 version. In this map we find, fighting against 6 unique bosses, custom monsters and elite monsters with special equipment, shops, four secret rooms, custom potions as usual Herobrine, and all this without a single mod. ¿How to instal Herobrine’s Mansion Map for Minecraft 1.7.2? Paste the download file into “saves”.